Perhaps most remarkably, Dr. Sacks’ research has shown that music has a profound effect upon our brain development. A professional musician’s brain shows evidence of increased memory storage capacity even on a macroscopic level. It is quite amazing that the centres for music in our brain are larger than even our speech centre. Numberous discoveries in various science disciplines are adding weight to age-old Christian arguments involving the importance of how our minds are impacted or “shaped” by external influences. Jim Lucas, lead pastor of Christian Life Community Church, as well as president of Canadian Pentecostal Seminary, provided the following essay on the importance of musical worship in shaping our minds. Perhaps you saw the movie Awakenings that came out in 1990 starring Robin Williams and Robert De Niro. It was based on the memoirs of Dr. Oliver Sacks, a neurologist who tried out a new drug (L-Dopa) on a group of patients who had been frozen in a decades-long sleep due to an outbreak of encephalitis shortly after the First World War. Amazingly, the patients revived temporarily from their trancelike state, and the movie documents the extraordinary transformations that took place. Dr. Sacks has recently published another book entitled Musicophilia. In it he recounts compelling stories of people struggling to adapt to different neurological conditions. His work has helped neuroscience change the way it views our brains. He discusses the power of music through the individual experiences of patients, musicians and everyday people. For example, he tells about a man who is struck by lightning and is suddenly inspired to become a pianist at the age of forty-two. He refers to an entire group of children with Williams syndrome who are hypermusical from birth. He mentions that there are people with "amusia," to whom a symphony sounds like the clattering of pots and pans. He recounts the amazing story of a man suffering from dementia whose memory spans only seven seconds for everything but music, and who still professionally sings the baritone part in a number of songs. Perhaps most remarkably, Dr. Sacks’ research has shown that music has a profound effect upon our brain development. A professional musician’s brain shows evidence of increased memory storage capacity even on a macroscopic level. It is quite amazing that the centres for music in our brain are larger than even our speech centre. In fact, music is stored in parts of our brains that seem impervious to diseases like Alzheimer’s and Parkinson’s that devastate other parts of our brains. People suffering from Alzheimer’s have been known to retain the ability to sing while being unable to talk. 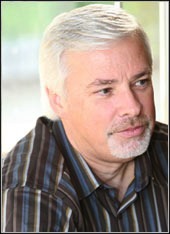 IS THE PRESIDENT OF CANADIAN PENTECOSTAL SEMINARY - LANGLEY, BRITISH COLUMBIA. Communicating truth in a secular age requires the exercise of hermeneutics on two fronts. First, we must clearly understand and state the truth we wish to communicate. Second, we must engage in a hermeneutical process that is developed from an understanding of how a secular age communicates. The truth we must communicate is best understood in the words of Paul: God was reconciling the world to himself in Christ, not counting men’s sins against them (2 Cor. 5:19). Unlike Captain Kirk, we do not have a universal translator that enables us to effectively communicate with any and all creatures. Many are still trying to preach the gospel to a secular age with 1950s language. We must find new idioms to communicate the good ole gospel story. Only a serious hermeneutical engagement with our secular society will enable us to find effective language to speak the word of reconciliation.